Down in the Woods offers local children a fantastic opportunity to learn and have fun in an outdoor environment, complementing the often restrictive and test-based classroom learning of the current UK schools' curriculum. "The sessions follow the Forest Schools’�philosophy of encouraging and inspiring children through positive experiences and participation to engage in and be motivated by achievable tasks and activities in a woodland environment,”�explains�Down in the Woods�founder Chris Pryke, who runs Forest School sessions in Cheam and Dorking as well as Bushcraft courses and Duke of �Edinburgh sessions.�“The Forest Schools’�philosophy has been shown to develop children's personal, social and emotional skills." 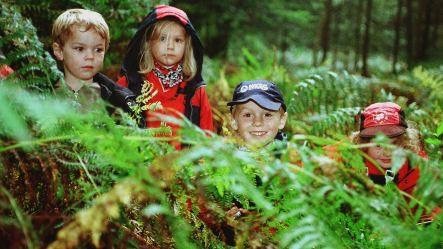 Forest Schools were developed in Denmark for pre-school children (under seven years).�It was found that the children attending Forest Schools were arriving at school with strong social skills, the ability to work in groups effectively and that generally children had high self-esteem and confidence in their own capabilities. "Children of all ages who visit the same local woodlands on a regular basis learn through play about the natural environment, how to handle risks and most importantly to use their own initiative to solve problems and co-operate with others,” adds Chris. If you would like your child to try out learning in a fun outdoor environment which builds their self esteem and confidence why not give Chris a call? Parents are welcome to stay for the first few sessions if they want to.